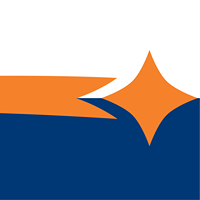 On April 5th, Leadership Waterloo Region will be hosting our Annual Leadership Breakfast. 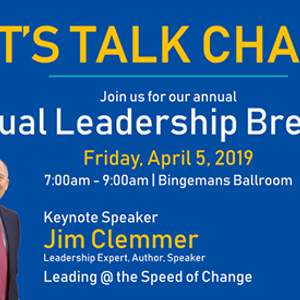 It will feature a keynote address by leadership expert and author, Jim Clemmer who will be speaking to Leading @ the Speed of Change. The topic of change is one that resonates with us an an organization. In the last two years, Leadership Waterloo Region has seen a lot of change. Change in leadership, in staff, in vision, and in approach. 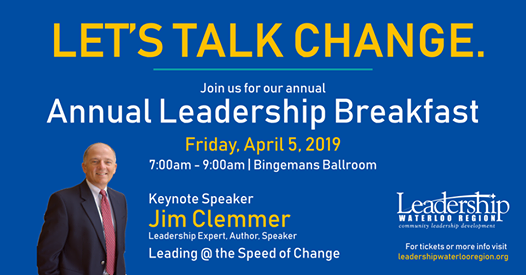 All of these changes mean promising things for Leadership Waterloo Region, and we are eager to share them with you at the Breakfast in April. Tickets are $50 which includes buffet breakfast and a free leadership book!